It is one thing to maintain your gutters and drainage and another thing preventing them from more difficulties. It’s a nightmare! You can do everything right: you can buy them, arrange them, fix them to the wall and even check regularly for breakages, blockages and other kinds of wear and tear. But come Fall, when the trees begin to shed their leaves, you will be fighting a losing battle if you try to clear them every now and then to avoid more issues. In the same way that you would have to sweep up twice a day to keep the driveway clear of leaves - in Fall, it is better to wait for a build up and then try to remove it in one go. The only problem is, you can’t really wait if the leaves are causing a build up in your drainage system! The consequences hit you more quickly and you need a solution. But what is the solution? A leaf guard of course. That is where we can help you. At Irving Rain Gutters in Texas, we have developed a selection of some of the best and most effective leaf guards to keep you guttering blockage-free all year round. However, there are many different types of gutters, with many different possible ways for them to get blocked. So, either give us a call (number on the website) to describe to us the kind of system you have and to get our advice on exactly which products to be looking for or read on and decide for yourself. We have normal office hours and we are always excited to hear from members of the community. At Irving Rain Gutters, we understand that great companies are based on good customer/ client relationships and we always strive to make sure that the kinds of interactions we have with clients are proper ones, based on mutual interest and cost-effectiveness rather than just business and profit. Got gutters full of debris, branches? Feel like the critters might be storing their goodies up there? The solution? A leaf guard. Generally, they are made from plastic or metal and the either sit in the drainpipe or just above it, catching anything that comes their way, threatening to cause a blockage. Most of them have standardized sizes and are great for drains and gutters but occasionally, if your house or building has a slightly unorthodox shape, you might need to look into getting a bespoke model to fit that shape. 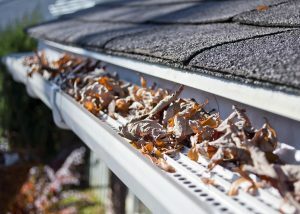 This can be especially relevant if you have gutters that run round bends or between house fixings. If you think this applies to you and you want to go through the options with us, give us a ring or get in touch via a message, we are very happy to listen to your concerns and advise you on what’s best! No problem is too big to bring to us at Irving Rain Gutters. If you have a problem, it’s our problem too!